We’ve worked with the old vines at Lorenzo since 2009 and have steadily edged toward a standalone bottling since then. I’m delighted to present this debut single vineyard offering, which has been something of a passion project for me. Lorenzo is a vineyard that carries a substantial reputation earned since its planting in 1974. For this very limited bottling, we’ve chosen to highlight a small patch of the vineyard: a hidden, back-corner, elevated parcel planted in sandy soil that produces a wine with singular complexity and focus—quite Burgundian in nature and style. This tiny section will only ever produce six barrels, our smallest-lot wine. The wine is uncompromisingly dry in a style that sits between the richness of Chloe and the tense style of Estate. A deep purity of Asian pear and hints of apricot, honeydew melon and flinty mineral interweave with citrus oil and green herb tones. The flavors are pinpoint and precise with no excess weight to the wine—everything is driving in the same direction, composed and harmonious, beautifully balanced with a great sophisticated style. 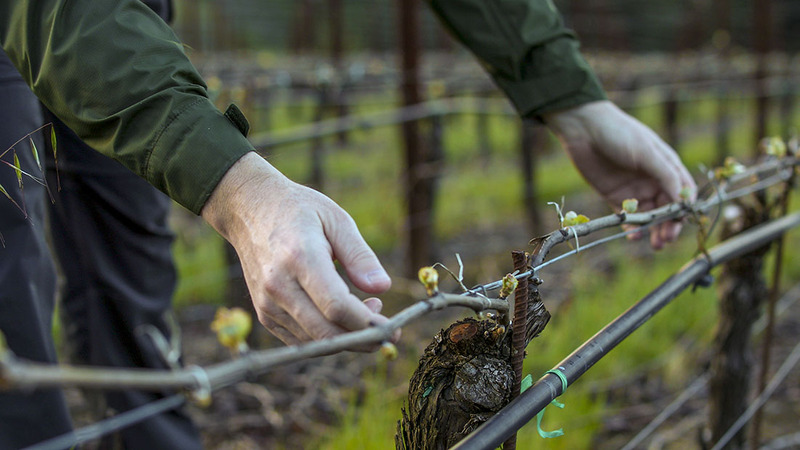 Experience has taught me that the best fruit of a given vineyard comes from the earliest ripening section—and that’s what we have here, a prized jewel of a parcel in one of California’s finest old Chardonnay vineyards. There’s exceptional pedigree in this inaugural Lorenzo bottling. Drink now through 2022.